The College of Natural and Applied Sciences (COLNAS) started academic activities on Monday, 22nd October, 2012 with Prof. Olusegun Atanda as the pioneer Dean with 16 students. 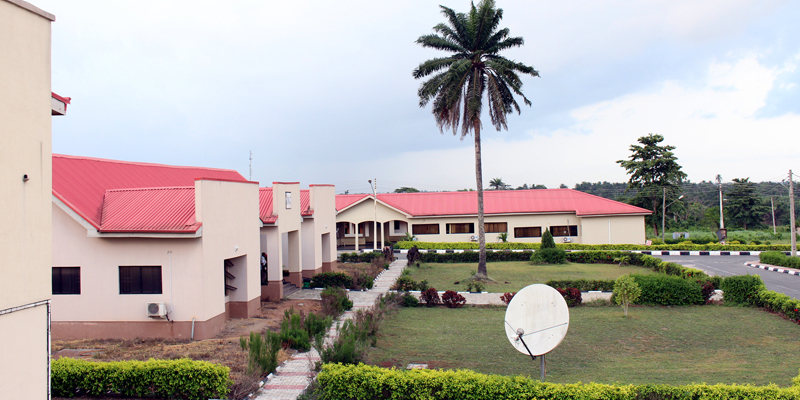 The College is made up of 3 Departments, namely; Biological Sciences, Physical and Computer Sciences and Chemical Sciences; with 8 approved NUC programmes and well equipped Physics, Chemistry and Biology Laboratories. These programmes are currently run on a (full time) basis with qualified workforce of academic and non-academic staff. The College of Natural and Applied Sciences (COLNAS) offers courses leading to honours degrees of Bachelors of Science (B.Sc.) in Computer Science, Biochemistry, Microbiology, Physics, Statistics, Mathematics, Biotechnology and Chemistry. The College graduated its pioneer set of students in the 2015/2016 Academic Session. The College members have been engaging in various research activities since inception. Several publications have been published by members of academic staff in various high impact journals both nationally and internationally. The College has been coming first in the annual sports competitions of the University since inception, except in the 2015/2016 edition that it emerged as runners up. 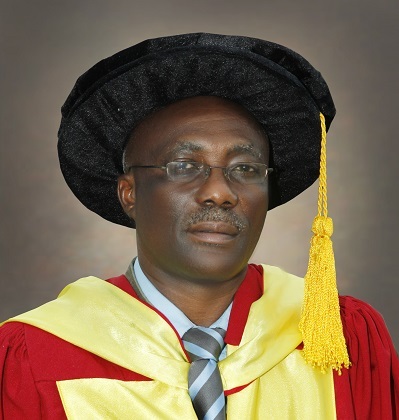 Olusegun Oladimeji Atanda, is a Professor and the Dean of College of Natural & Applied Sciences (COLNAS). 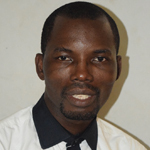 His area of specialization is Food Microbiology & Food Safety (Mycotoxins and Oenology). Attended Loyola College, Ibadan (Jan, 1973-June, 1974) and Government College, Ibadan (Sept, 1974 –June, 1977). He graduated from the University of Ilorin (June, 1983)with a B.Sc. degree in Microbiology and the University of Benin, Benin(June, 1986) with a M.Sc. degree in Food & Industrial Microbiology.He also has an M.BA. degree in Business Administration (Marketing Management) from LAUTECH (Oct, 2002) and a Ph.D.degree in Food & Industrial Microbiology, (May, 2005) from the University of Agriculture Abeokuta (now Federal University of Agriculture, Abeokuta). He is indeed the first Ph.D. graduate, Dept. of Microbiology of that University. Prof. Atanda was at various times Research Officer Grade 1 (Microbiology) and Deputy Head of Microbiology Unit, Nigerian Stored Product Research Institute, Onireke Ibadan. Jan, 1987 –July, 1991.Pioneer Microbiologist, Temple & Golders Ltd., Ijebu-Mushin, Ogun State. Quality Control Manager,Temple and Golders Ltd, Ijebu-Mushin. July, 1992 –April, 1993. Quality Assurance Manager and Secretary of Technical Committee, Tate Industries PLC, Sango-Ota, Ogun State, June, 1993 –February, 1994. He was also Managing Director/Chief Executive Roself (Nig.) Ltd (March, 1994 –May, 1997. Ayodeji Olushola Awotula, Sub-Dean, College of Natural & Applied Sciences (COLNAS) is a highly resourceful academic with knack for excellent research. He holds first and second degrees in Biochemistry from the Olabisi Onabanjo University, Ago-Iwoye, Ogun State, and University of Lagos, Lagos State, Nigeria. During his academic sojourn at these Institutions, he was recipient of Federal Government Scholarship Award. He is an active member, American Society for Biochemistry and Molecular Biology (ASBMB) and the Nigerian Society for Experimental Biology (NISEB) among others. Awotula who has published extensively in Biodegradation, Environmental Biotechnology, Enzymology among others, is currently researching on Biodegradation and toxicological studies of dye wastewater and some selected textile dyes. He is as well researching into the biodegradation of some polycyclic aromatic hydrocarbons (PAHs) by local bacteria and fungi isolates from polluted soil. Aside his academic engagements, he has served on a number of Committees and currently Chairs, the Sports Council. studied at the prestigious Obafemi Awolowo University, Ile-Ife, and earned a Bachelor’s degree in Sociology and Anthropology from the Department of Sociology. He joined the services of McPherson University in 2012 and worked in the Academic Affairs Unit before his recent appointment as College Officer, College of Natural & Applied Sciences (COLNAS). He is a member of some notable professional Associations in Nigeria among which, is the Institute of Corporate Administration. Subscribe to McPherson Newsletter for latest information.